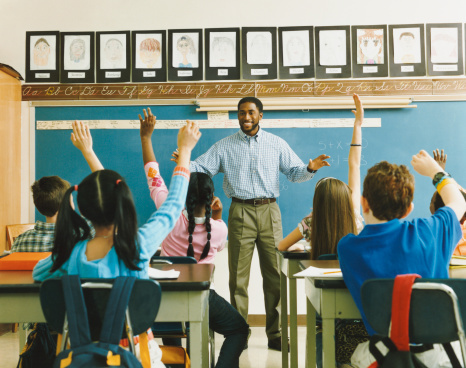 As a certified elementary teacher, I came to realize the tremendous amount of power and influence I had on my students very early in my career. It was clear that my energy and delivery during certain lessons (either high or low) made an impression and greatly affected the outcome of “how” and “what” my students learned. Since my goal was to be an effective teacher, I purposefully taught every subject with enthusiasm in an attempt to influence my students in the most positive, productive ways possible to increase learning. Teaching with enthusiasm became my mantra! I actually incorporated the words “with enthusiasm” into my daily lesson plans as I prepared for every single lesson. I focused my attention on teaching with as much knowledge, positivity, and energy as I could. By doing so, I noticed that my students’ attention, interactions, and test scores followed. The enthusiasm was contagious! Engaging students in the learning process can be a challenge, but demonstrating a high level of knowledge and enthusiasm can increase student learning. Warning: Thoughts like these are exactly why veteran teaches still need our support! Take these thoughts as a sign! I know because I’ve been there! 2. Add VARIETY to your lessons! Keep challenging yourself to stay in alignment with the curriculum (teach with fidelity), but add your flare of creativeness to Shurley English; this gets easier the longer you teach Shurley. Get more engaged in the Enrichment Activities, Discovery Time Activities, or try creating Learning Centers. 3. BE VIEWABLE & VISIBLE! YOU ARE A LEADER & A MODEL TO NEW TEACHERS! Make sure you’re a part of the professional development opportunities no matter how long you’ve been teaching-never stop learning! With grace, show them how it’s done…because they ARE watching you-observing how you make it work. INVITE them into your classroom for a Shurley English demonstration. Mentor them. Collaborate with them. Lead them. Help mold them into a successful Shurley teacher like you are! 4. VOCALIZE with AUTHENTICITY & SINCERITY! Your thoughts, questions, and concerns need to be heard and can be validating to teachers not willing to speak-up. When you do speak-up, be genuine, honest, and tactful. If you see teachers not staying in alignment with the curriculum, I encourage you to say something. A broken cog in the wheel makes it difficult for the wheel to roll, and the Shurley wheel needs all cogs in place. Kimberly Crady is an adventurous woman with an immense love for life, learning, and teaching. After teaching in upper elementary classrooms for nearly 10 years, she joined the Shurley Team in 2005. Kimberly has had the unique experience of teaching Shurley English lessons in all levels, Kindergarten-8th grade and training teachers across the United States. Kimberly is a National Consultant and SEDA Teacher for Shurley Instructional Materials. Kimberly’s passion for helping people and living a healthy lifestyle has led her to continue her education in the area of Health and Wellness. She enjoys numerous outdoor activities from hiking and snowboarding in the Rocky Mountains to paddle boarding in the ocean; although, these days you can find her practicing hot yoga in a Bikram Yoga studio. She also enjoys traveling abroad, live music, reading, and spending time with her favorite mutt, Lu. Kimberly’s experience as a Certified Health & Wellness Coach and Teen Life Coach helps support her firm belief in teaching the whole person, especially in the classroom.